Portland Craft Beer: Breakside Brewing releases La Tormenta - dry hopped sour ale. 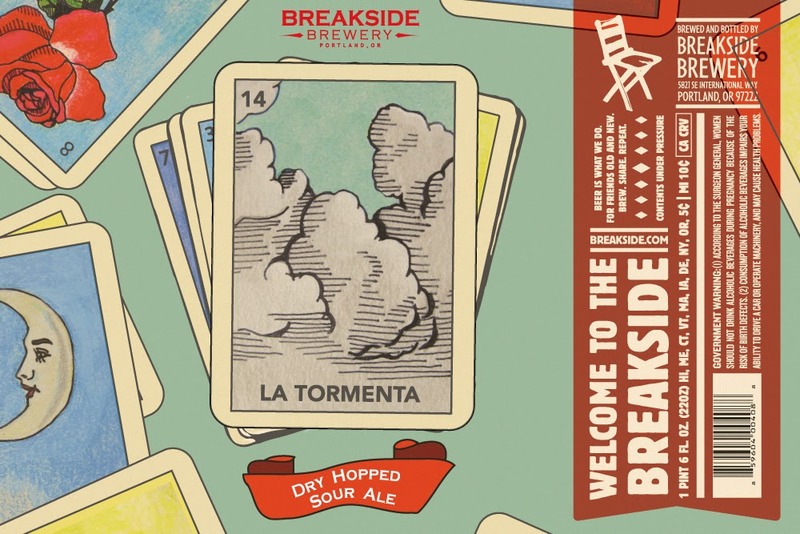 Breakside Brewing releases La Tormenta - dry hopped sour ale. 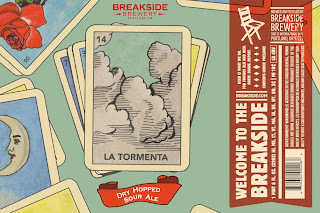 The award winning brewers at Breakside Brewery are releasing their final bottle release of 2014 - "La Tormenta." Descrived as a love letter to Northwest-style sour ales and citrus fruit forward hops. Also Breakside is excited to release "Imperial Red" a brand new winter draft-only seasonal that combines the delights of huge hop bombs with a big malty body that finishes smooth. Our final bottled release for the 2014 brew year is an experimental sour ale made with a unique blend of citrusy, tropical and fruity hops. Bracing-yet-balanced sour notes combine beautifully with West Coast hop flavor in this sweet and tart ale. This beer was one of our most popular small batch offerings earlier in the year, and we're excited to re-release it as a light and beguiling alternative to classic winter beers. Notes of blueberry, guava, grapefruit, and lemongrass are offset by a juicy acidity, medium body, and a moderate sweetness from caramel malt. Stats: 7% Abv. 22 IBU.